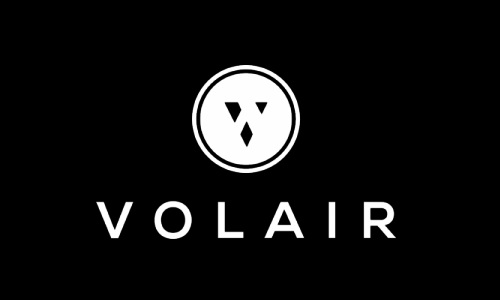 VolAir is a blockchain-based private jet charter and luxury lifestyle platform. VolAir platform allows people to book private jets at their convenience using their mobile phones or laptops. The VolAir mobile app enables users to book private jets through multiple partners. These users then pay for the services using their VolAir coins.Unlike some flights that get more expensive, you can see all the last minute deals you can grab with your VolAir coins and where you can fly. The VolAir project will manage client contract information and reward customers for loyalty without requiring expensive subscriptions and fees. The network will deploy the tiered model which will allow users to get from tier to tier by using the services of the platform. The higher the tier will be, the more benefits the user will have. Participants will be incentivized by VOL tokens which will be able to be exchanged for fiat money and flights, as well as staked in the integrated wallet for achieving a higher tier. VolAir provides two distinctive versions of its application. The first version allows users to access the app, search for their desired jets and find them. The version can then store user VOL tokens in their respective wallets. When a user, therefore, books a jet, the request is sent to the third party, and when booking is verified and confirmed, the customer and vendor are awarded VOL tokens. As for the second version, users will have an added advantage of benefiting from their tier levels while partners can help from the gateway. The VolAir app will operate on a CPC (cost per click) model that will be feeding data into the app from partners. Users will then be able to find planes, and then the CPC model will allow the users to complete the transactions with the partners. 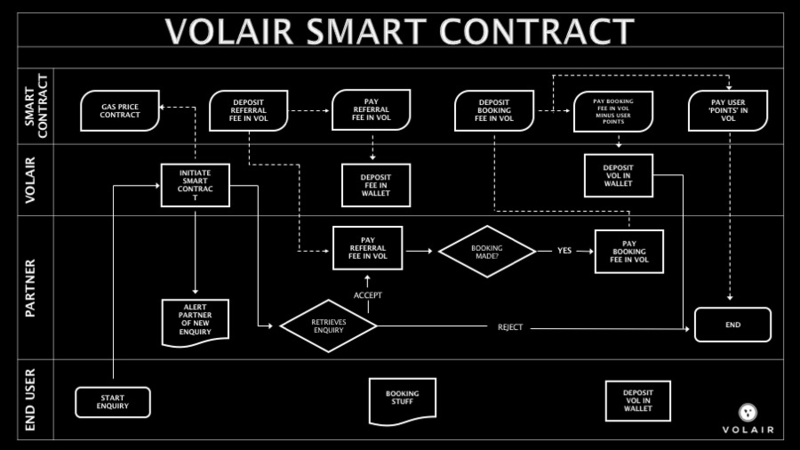 The system will use a smart contract for the booking of jets which will then be taken into the VolAir application. VolAir operates on tokens called VolAir token coins (VOL). The coins will be used in the booking of private jets through the VolAir mobile applications. The jet providers will then be charged a small fee in the form of VOL coins whenever customers book the jets using the application. The charged fee will be a 10% of CPC. The coin is based on Ethereum ERC20 model. During its operation, a total of over 500 million coins will be released, of which only 50% will be for sale via the presale ICO and the main sale ICO. The tokens are to be distributed in the following manner: 45% – crowdsale, 15% – private tokensale, 15% – founders, 5% – advisory services, 25% – partners. Pre-Sale Date: 01.07.2018 – 31.07.2018. Public Sale Date:29.08.2018 – 24.08.2018.